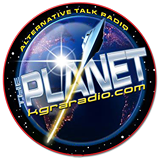 While being interviewed last night on the Let's Talk Paranormal radio show with host Tracie Altman, I realized that I had not yet written an article about accessing DNA that I've been wanting to get published.This is something that was introduced to me by Commander Valiant Thor, the extraterrestrial who has been on this planet since at least 1957, and is the subject of the book "Stranger at the Pentagon" by Dr. Frank Stranges (available at Amazon). As you may have read in some of my other articles, I've been in touch with Valiant Thor since 1987. Thor told me several years ago that it was possible to access your ancestor's experiences by telepathically communicating with your own DNA- and that this part of DNA - the Memory DNA- is passed down through bloodlines. This is something that I would never thought of trying to do myself, even though I've practiced telepathy for many years.My first thought upon hearing this was to try to view the memories of my direct bloodline ancestors, the St. Clairs of Scotland, and I thought of Henry Sinclair, the Grand Master of the Knights Templar. I was curious as to exactly what the purpose was for the construction of Roslyn Chapel since I've always felt a connection to the place. I sat down in a quiet space in my favorite chair one evening, and simply thought about accessing my DNA memories, and was immediately transported in time to Roslyn Chapel during the construction of the foundations. Masons were working on the building, there was a table placed about 40' away from the construction at the southeast corner, with a man standing there who was obviously in charge of the project. An elegantly dressed man arrived on a horse - he was likely William St. Clair, the 3rd Prince of Orkney. William was the grandson of Henry St. Clair. 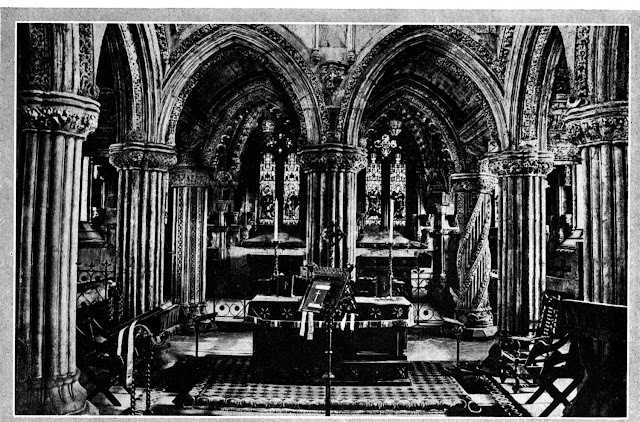 According the the official Roslyn Chapel website, https://www.rosslynchapel.com, the chapel was founded for his family for prayer and to spread intellectual and spiritual knowledge. These secret rooms were designed to hide things of value which were under the control and care of the Knights Templar. I could truly see the connection here of the Knights Templar and the Masonic Order being one group. They could all keep a secret and held their jobs very seriously, in addition to being master stone masons. This may actually have been the beginning of the Masons, because they were building something of great value that was to contain something very important. However, I saw William unroll plans for the construction of the chapel, which included two newly designed hidden chambers located deep underground and only accessible through the lowest level of the chapel. These were located near the centerline of the east side and the centerline of the north side of the foundations. Each had a corridor which lead to larger rooms approximately 20' away from the chapel, and when covered over with dirt and grass no one would ever know they were there. William explained this to the chief mason/engineer and they discussed the construction. I also saw many armed men placed in a circle around the chapel approximately 1/4 mile away in all directions. These men stayed at their posts for a period of time until they were relieved by another guard. Their purpose was to keep prying eyes away from the chapel so that the public would know nothing of the true purpose of the building. At that time as well, stone masons were very secretive of their work anyway, and did not want to share the knowledge with outsiders. Next, I was transported to a future event, where the chapel was completed. There were men with wagons pulled by horses located near the chapel as well as another location that looked like a castle. They were taking items out of the secret rooms and loading them up in big sacks onto the wagons, which then drove directly to the west coast. There were many men working to make this happen quickly, as they new that their hiding places had been compromised. My position was on top of a huge hill overlooking bluffs and the ocean, where I could see three sailing ships where the items were to be loaded onto. A St. Clair patriarch (likely William, however, I kept hearing the name Henry) was saying goodbye to his son, who had been given the duty of making certain that these items were taken to a place they knew of across the ocean to the west, and the line that I saw led directly to Oak Island in Nova Scotia, as well as two other locations further inland in what is now the U.S. on the east coast. The father and son knew that they would likely never see each other again. I also "knew" that this action had been planned for far in advance in case it was needed in order to secure the treasure they had in their possession. It was so important, that they had to do this at all costs. What the treasure was is the question - and when I attempted to follow it telepathically I knew that it was somehow related to Mary Magdalene (likely Jesus' wife) and to the Temple of Solomon. I will attempt to get further information about this subject and post it at a later date. What this first attempt at accessing DNA memories showed me was that it is indeed possible to view past events in your bloodline. 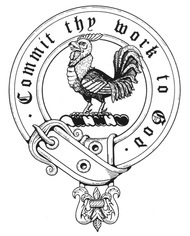 I have an extensive family tree on Ancestry, and my daughter has an even more extensive tree built with thousands of people including the Sinclairs (St. Clairs) at www.clanothehighlands.com. I suggest to anyone wanting to know about historic events to build their family tree, then attempt to contact them telepathically through your DNA. It is possible to view past significant events in this manner. The Method: What I do see an event is to simply direct my attention to my blood, then seek out DNA, then ask to see DNA memories of a particular ancestor. That is when visions, and even sounds such as speech or even horses, rain, etc. can be accessed. It is a completely amazing experience, and one that I believe that anyone can do.